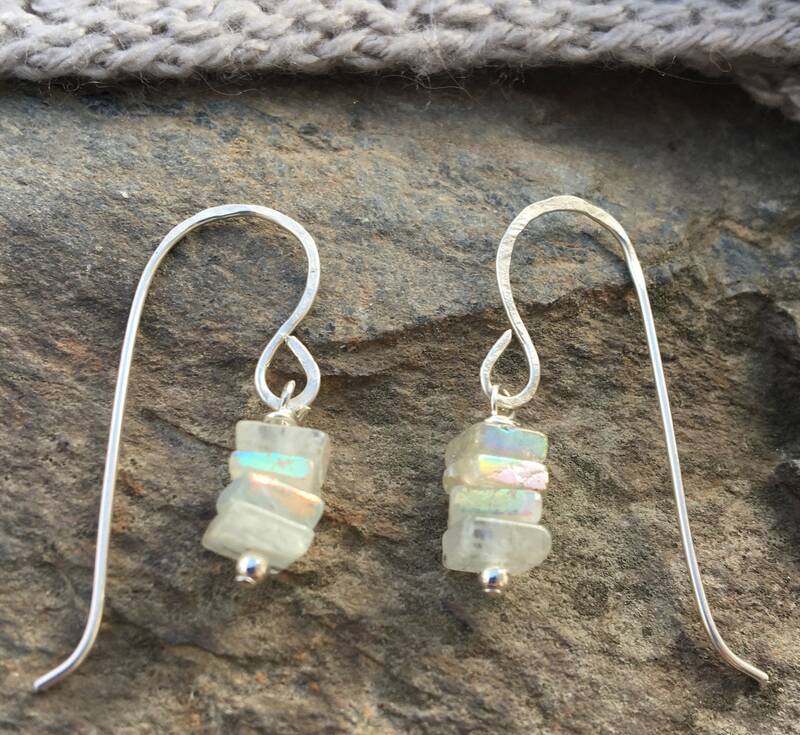 These hand crafted earrings consist of wiring square shaped Mystic Aquamarine gems on sterling silver wire. 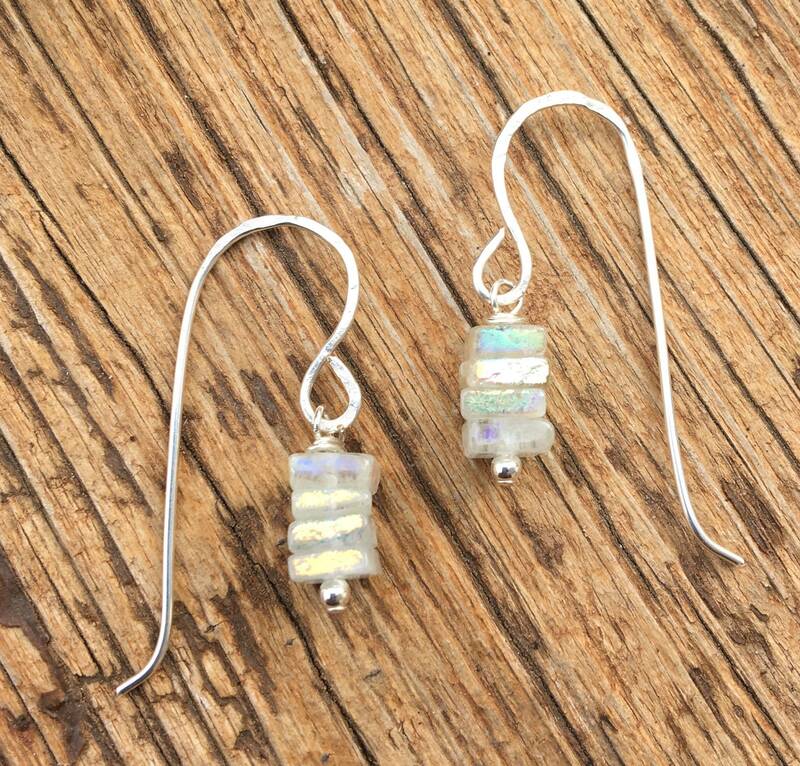 The Aquamarine stones have a soft toned Mystic coating that emits colors of green, blue & yellow. 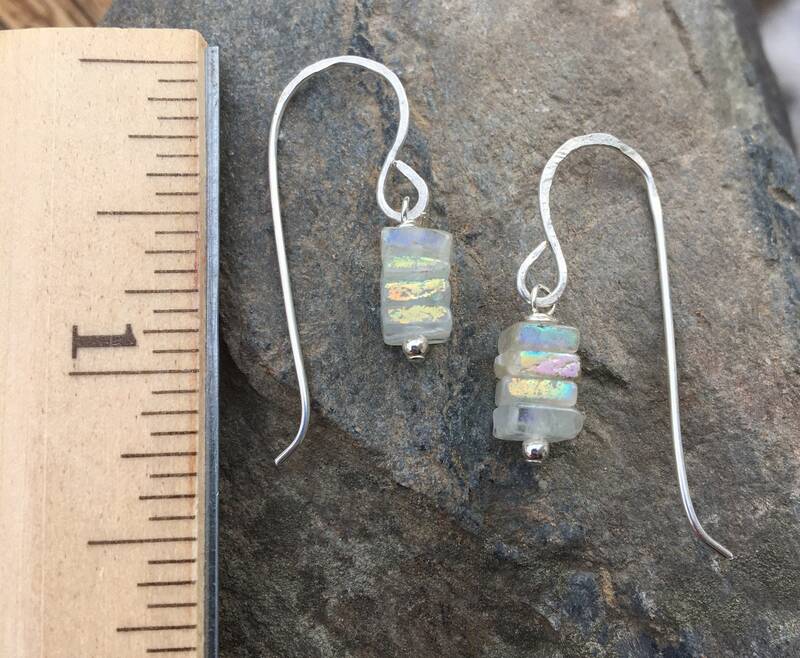 These sterling silver earring wires are also created by hand. Sterling silver lever backs are also available.